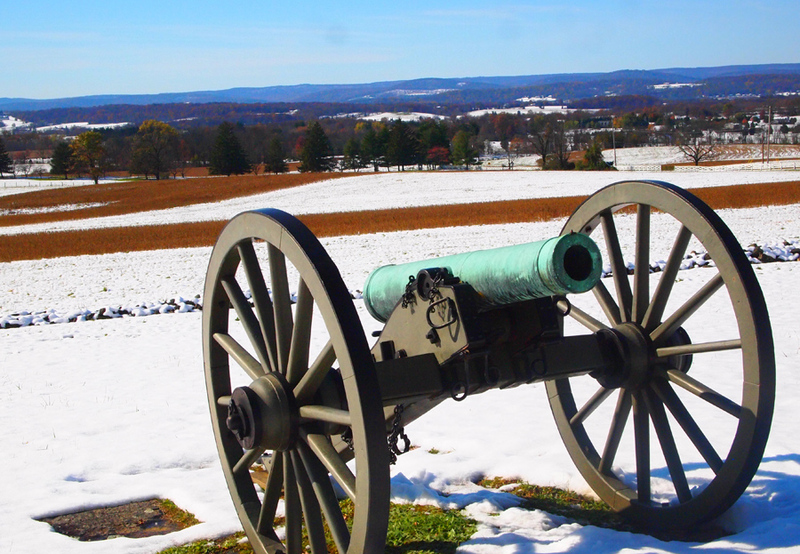 A soft dusting of snow had fallen this morning on the rambling hills surrounding the site of the Battle of Antietam in Sharpsburg, Maryland. As we walked gingerly to the Visitor Center fog and steam rose like apparitions from the formerly bloodied soil, offering a peaceful, though somewhat haunting, view of the open battlefield. The battlefield is quite large and the amazingly helpful park staff provided a driving map to each key site. 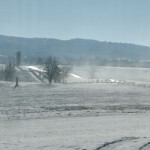 On any day, the road offers beautiful scenic views of the Northern Maryland landscape. The curving roads take you through a valley flanked on the eastern horizon by the Appalachian Mountains and over the rolling hills flanked to the East by the Potomac River. Following our visit to the Antietam, we drove up 81 and across US 30 to perhaps the most famous, and more readily known, Civil War battlefield. 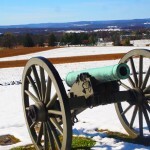 Though Antietam was the bloodiest day of the Civil War, Gettysburg was, by far, the bloodiest battle in US history, and more clearly represents the official turning point in the war. The Battle of Gettysburg was Union victory that ended General Robert E. Lee’s second and most ambitious invasion of the North in 1863. Often referred to as the “High Water Mark of the Rebellion”, it was the war’s bloodiest battle with 51,000 casualties and the setting for President Abraham Lincoln’s “Gettysburg Address”. This battlefield is even larger than Antietam, and required we buy an audio CD to get around. Again, the rolling hills and wooded valleys of this battlefield belie the deadly history of these few days that changed our American history. But, this trip wasn’t about scenery, it was about learning, and we did. By the time we began our drive back to our campsite, thanks to the amazing National Parks System staff, we had a better understanding of the motivations of the individual soldiers and their leaders. 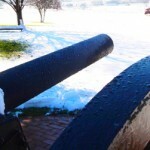 Had the weather been warmer, a hike through either battlefield would have been ideal. But, our driving tours were still enlightening and eye-opening.